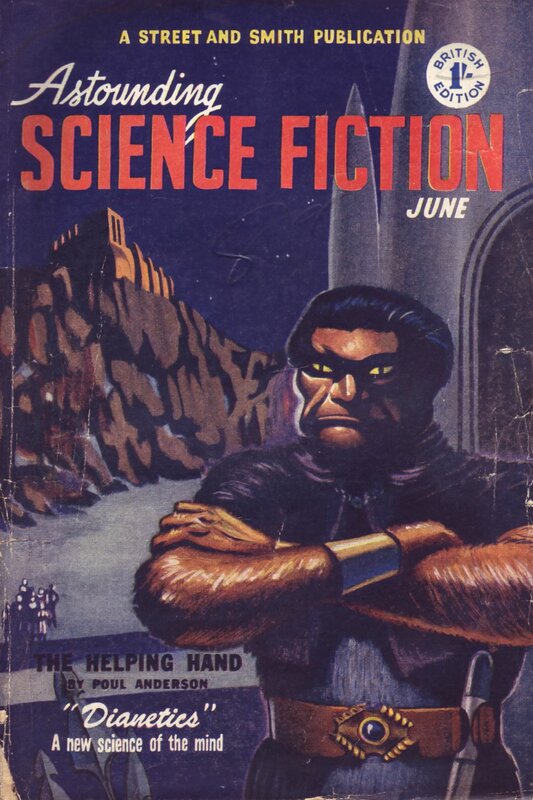 In 2006, CESNUR Library acquired one of the rarest pulp magazines, Astounding Science Fiction, vol. XLV, no. 3, May 1950, which included the article by L. Ron Hubbard “Dianetics: The Evolution of a Science”, pp. 43-87 of Astounding Science Fiction, vol. XLV, no. 3, the first introduction of Dianetics to a wider audience in an immensely popular magazine. CESNUR Library is now pleased to announce that it has also acquired through an e-Bay sale the corresponding British edition, Astounding Science Fiction, vol. VII, n. 10, published in June 1951 by Atlas in London, another milestone in the history of Scientology.